As domestic manufacturing recovers after the recession, some business leaders are looking to reduce manufacturing costs to continue strong growth. After exceeding expectations, U.S. manufacturers are on the mend as the manufacturing purchasing managers' index (PMI) increased to 55.7 in August, according to USA Today. Measured by the Institute for Supply Management, an index score above 50 suggests expansion of manufacturing activity. "The [August reading] remains solidly in expansion territory and should be seen in the context of similar manufacturing gains across most developed and emerging economies in August," said David Kelly, chief global strategist at J.P. Morgan Funds. As an indicator of how well the manufacturing sector is performing, the index did better than expected as it surpassed the 54 score estimated by Wall Street economists. Succeeding a strong showing in July, August's reading might hint at further expansion for the second half of 2013. 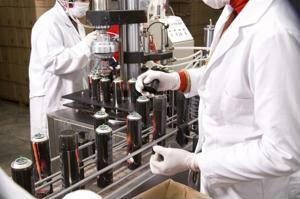 Analysts continue to see growth within the manufacturing industry. "The more you drill down, you want to see new orders increase," Quincy Krosby, market strategist at Prudential Financial, told USA Today. "You won't get the hiring without the new orders. Overall, the direction of manufacturing continues to be positive." The rise of the manufacturing industry is supported by the report, showing that overall economic activity grew for 51 straight months, Logistics Management reported. While the manufacturing sector has seen dips, economic activity has expanded for 34 straight months before contracting in June 2012. The New Orders manufacturing index increased to 63.2, an increase of 4.9 percent compared to the reading in July. Bradley Holcomb, chair of the ISM Manufacturing Business Survey Committee, said 12 of the industries involved in the survey reported expansion of new orders in August, including housing, auto-related sectors and transportation equipment. For two consecutive months, 15 of the 18 industries in the survey saw growth and only one had a contraction of economic activity. As for jobs in the manufacturing sector, employment experienced a 1.1 percent decline to 53.3. While the overall workforce saw a slight decrease, Holcomb said this figure is still above the 50.5 benchmark, which the ISM claims align with an increase in hiring in manufacturing, according to the Bureau of Labor Statistics. As for other signs of slow but positive growth, supplier deliveries increased 0.2 percent to 52.3, and inventories reached 47.5, a gain of 0.5 percent.